Acclaimed acoustic guitar virtuoso Andy McKee will release Mythmaker on April 8th. The four-song EP is his first release since 2010’s acclaimed album Joyland, and features Andy playing electric guitar and piano for the first time on record. 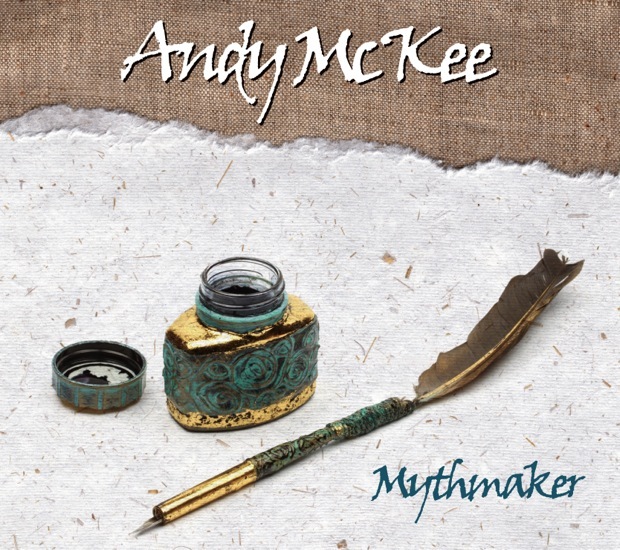 Mythmaker also happens to be the name of Andy’s newly created record label which he will use to release new music much more frequently than in the past, as well as music from artists he adores. “I envision the Mythmaker label to be a home for creative and highly unique musical artists,” he says. He’ll also release his first live concert Blu-ray/DVD later this year through the imprint. Andy McKee is among the world’s finest acoustic guitarists, and his crossover success to over 150 million YouTube viewers underscores his emergence as one of today’s most unique and influential artists. To fans of virtuoso musicianship it is Andy’s attention to song structure and melodic content that elevates him above the rest. To fans of popular music Andy entertains both the eye and the ear as he magically transforms the steel string guitar into full orchestra via his use of altered tunings, tapping, partial capos, percussive hits and a signature two-handed technique. He’s been featured as a cover story in both Acoustic Guitar Magazine in the U.S. and Acoustic Magazine in the UK, and is also the figurehead of the unique Guitar Masters tours which have traveled the world over the past three years. Learn more about Andy McKee Mythmaker by reading Acousticguitarplaying.info’s exclusive interview with the guitarist.